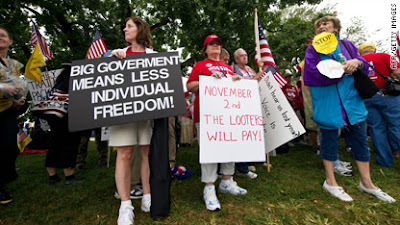 You know government is too big when it takes away the letter N from protest signs. In solidarity, we will call that ufair. We will also complai about this scadal util someoe does somethig about it. Like the military. Or the police. Or maybe the fire departmet. Oh, wait. Those are all governmental agencies. Never mind. Thanks to Tamara K. for the photo. Close, but no, um, cigar. Wait, no. This sign--it is a hair off. Hoo-hah! Missing letters just make us crotchety, we guess. If only the URL had been southbendover.com, we would have died of laughter (giddy and juvenile laughter, but still). And we wouldn't want to go to this school, either. Not with their non-standardized form of testing. Lot's of singing, lot's of solo's. Are you prepared to wait in line? We will be auctioning actors. I really hope not, because people are priceless. Unless that is a term you've made up on purpose in an attempt to be funny for a comedy skit, misspelling your character's condition on a casting call makes you seem uneducated. 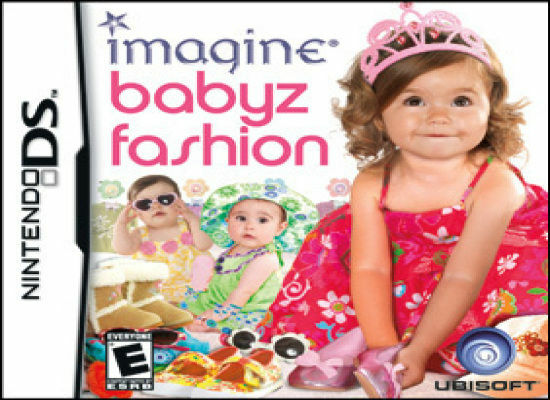 What the hell kind of word is "babyz"? Other than the perfect word to describe a game that lets people turn babies all tarty and stuff, that is. We hereby challenge you all to find worse fake marketing words than "babyz." We doubt it can be done, though as we admitted before, we are wearing our crankypants and they are TWO SIZES TOO SMALL. That said, we think the word they wanted was "collision." Thanks to Greg Pincus for the screen shot from the AOL home page. * We originally had this as "capitol," which with a capital C refers to the Capitol building, but with the "a" properly refers to the capital city. It's wreak havoc, not wreck. We're just going to blame this one on the gnomes. The book comes out today, by the way. We would really like to watch a gnome attack, preferably on our neighbors who've been using a jackhammer all week. Measurements should be 26-27" waste, 34-36. What a waste of a casting notice. Actors seeking perspective would be wise to look elsewhere for a prospective job. Our theatre company does improff. Is that improv hosted by Spring Awakening star Jonathan Groff or what, exactly? Be apart of our promotional expansion. You know, some things shouldn't need explanation. A sign on the door that says WOMEN means it's a women's bathroom. So we are wildly disturbed that the proprietors needed to post a two-exclamation-point sign explaining what that "WOMEN" thing means. 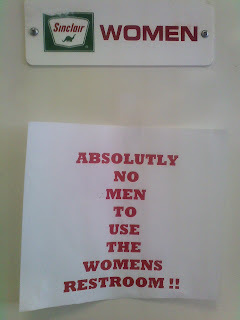 We are so disturbed, in fact, that we hardly mind the missing e in "absolutely," or the missing apostrophe in "women's." Honestly, dudes. We don't want you in our powder room. We've heard about what you do to yours. Blecch. Thanks to Charity E. for the photo. Who Are Big and Small? And why should no job go to Big or to Small? Oh, wait. 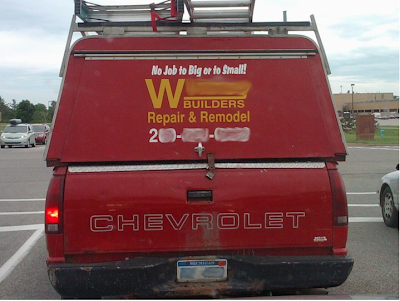 They mean no job is "too big or too small" for them to consider. Sigh. 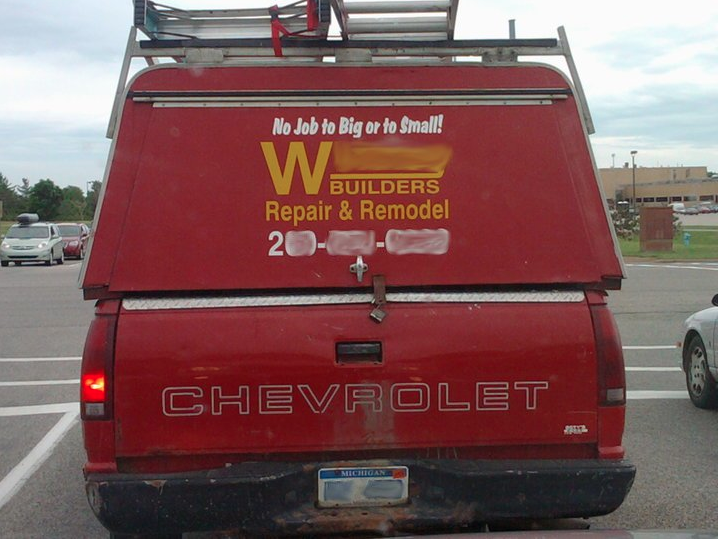 One could say the same about proofreading the signs painted on the back of trucks. Every small business owner should consider hiring an editor for their signs, websites, brochures, and even business cards. Given the photos that come our way, we're fairly certain this could jump-start the entire U.S. economy. Thanks to Randy J. for the photo.